"the onstage chemistry is a joy"
Good improvisation is no easy feat, and improvising a whole musical is even harder - but The Showstoppers have made it an art. The talented cast of improvisation artists have honed their craft in rehearsals, on a BBC Radio 4 series and over 9 years of touring experience. 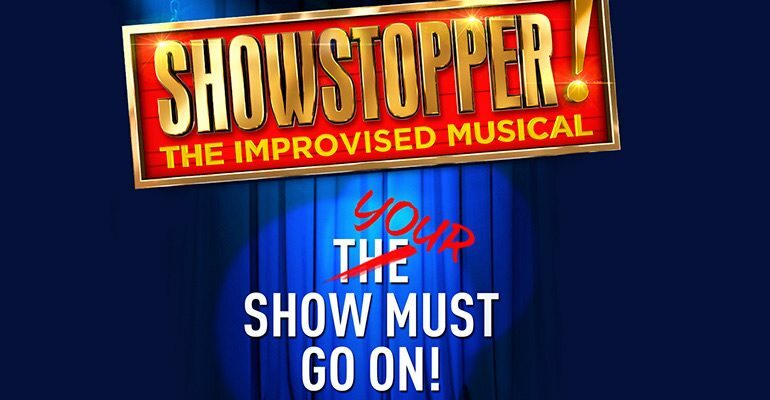 In 2017, the multi-award winning group bring fresh ideas and new material to life in Showstopper! The Improvised Musical at the Lyric Theatre. An audience suggestion starts the process, then grows into an all-singing, all-dancing, fully-formed musical in front of your eyes. The cast have trained in storytelling, acting, singing and dance in order to create an impressive yet hilarious show. Founded by Dylan Emery, Adam Meggido and Ken Campbell, the trio still manage the show today. Past creations have included Baldy and the Beast, Gremlins in the Kremlin and Sweeney Cod, but the beauty of this improvisational masterclass is that you never know what you’re going to get. This unpredictable theatrical experience is unlike any other on the West End! Showstopper! is relatively family friendly, although they cannot be held responsible for audience suggestions. Showstoppers revel in the pleasures and pitfalls of the back catalogue, with satirical ingenuity and a fully tuned critical alertness and mimetic merriness.